RSW- Artwork page, "The River Curve"
See also Above the Connecticut for a related piece of work. in the river today. The view is now blocked by I-91 and trees. "Painted in summer 1941. Painted in the studio from a chalk drawing of the same scene before the drawing went to Northfield Seminary as a gift from the class of 1891. The original drawing was made from the back yard (overlooking the Connecticut River) of Bertha Davenport's Red Farm House, on the Brattleboro-Bellows Falls Road above Putney, Vermont. Sold July, 1945, to a private owner." This painting is now privately owned. See also Above the Connecticut a chalk drawing of the same subject. 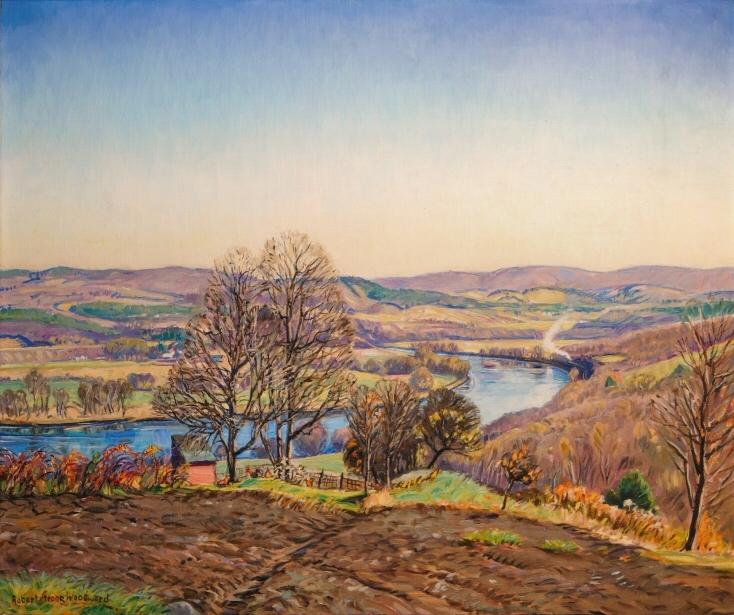 This is one of the only paintings RSW did of the Connecticut River. 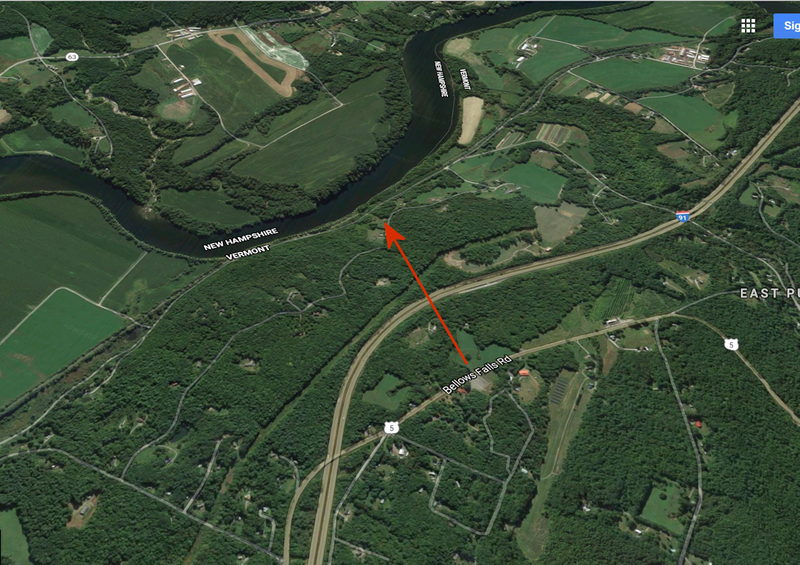 This portion of the river acts as a natural border between Vermont and New Hampshire.